The first few minutes of The Sea of Trees tell us a lot about the lead character without really saying anything at all. Arthur Brennan (Matthew McConaughey) parks his car at the airport, but leaves his keys on the passenger seat and walks away. He buys a one way ticket rather than round trip. He has no luggage. While we aren't literally told or shown his reason for travel, it doesn't take a very observant viewer to put the pieces together when these events combined with his demeanor spell out the word suicide. Regardless, it's an intriguing start to a picture with a load of talent involved. Starring the aforementioned McConaughey along with Ken Watanabe and Naomi Watts and directed by Gus Van Sant, had I not heard a single bit of buzz regarding The Sea of Trees prior to watching I would have entered with lofty expectations but essentially every word said about this movie after its premiere at Cannes has been negative. Therefore, still hoping for the best but preparing for the worst, I gave it a chance. Arthur's destination is a forest near Mt. Fuji known to be a place where people go to end their lives, and his plan is put into motion until he sees another man named Takumi (Watanabe) wandering past, clearly in need of assistance. This triggers Arthur's instincts, to help the man first before carrying out his own fate, but once they engage each other in conversation his life is prolonged, at least temporarily. Spliced into this journey are flashback sequences that are meant to reveal what lead to this point, what could push a man to the brink and convince him he no longer has a reason to live. Almost everything about this film is a little flimsy and misguided, but in these moments it truly dies. 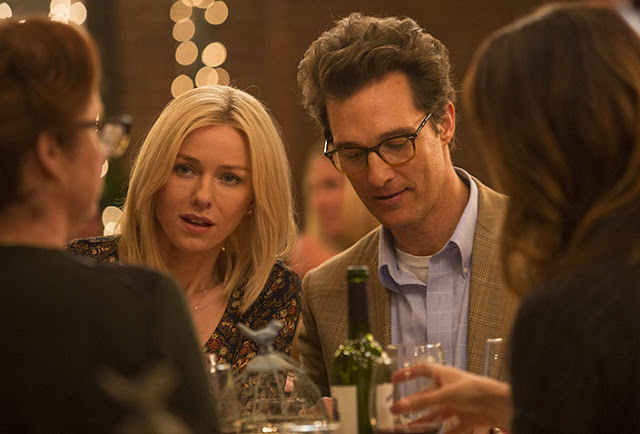 Unfortunately the only way The Sea of Trees could have been salvaged would have been to remove Naomi Watts entirely, which sounds awful but the poor decision to show rather than just tell in regards to their relationship turned an intriguing premise into a melodramatic nightmare. It isn't her fault that every scene involving her character is insufferably written and the path she takes is like something out of a Nicholas Sparks novel only worse. At least Sparks knows his target audience and caters to it successfully, because what writer Chris Sparling has created here is a corny and laughable failure. 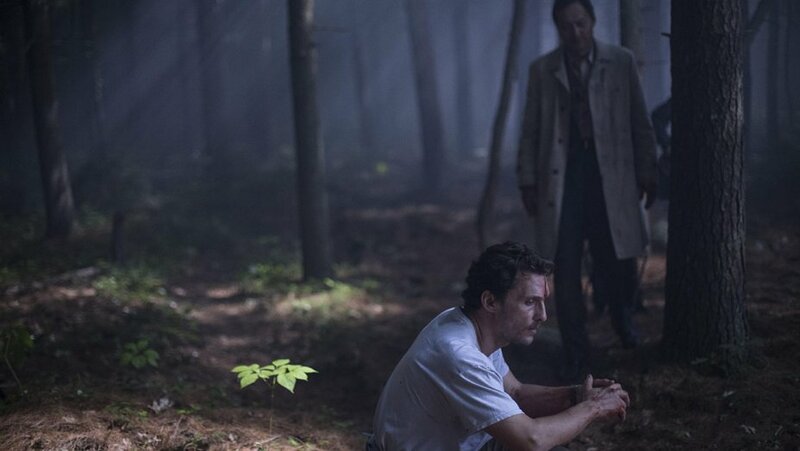 The Sea of Trees would have been much more powerful had it stayed grounded to the dialogue between the two men in that remote setting, painting a portrait of pain through storytelling and emotion but instead the flashbacks destroy any momentum the movie gains while in the gorgeous and mysterious woods. By the time the "heartbreaking" twist happens I already was down on The Sea of Trees, but in that moment it became a disaster. An honest attempt at being shocking and unexpected, yet I could see it a mile way, and not only did I see it, I was begging Sparling and Van Sant to prove me wrong. When it happens I started literally laughing at something intended on being devastating. It is a cheap and poorly executed twist of fate, and everything after that point to the very last frame makes a bad film one of the worst of the year.